Two months after a car ploughed into their real estate showroom, Ray White Queenstown owners Bas Smith and Cam Reed have finally re-opened the doors. The ground-level office and showroom in Church Street was extensively damaged when a local worker finishing a night shift accidentally drove into the building around daybreak on April 19. Staff and agents who used to use the downstairs space were relocated to upstairs offices while re-building and renovation work was completed. The space now has a new, modern look and feel including a lounge area, and upstairs areas have been remodelled to enable staff to remain there. The new-look showroom opened as Bas and Cam celebrate ten years operating the Ray White franchise in Queenstown, and Ray White marked the 25th anniversary of its presence in New Zealand with an Auckland celebration in late May. “We’ve always been in Church Street, and as the town has grown we’re thrilled to be in such a vibrant area which is fast becoming the lynchpin of downtown,” says Cam. “When we started ten years ago it was just the two of us, and now we’re an efficient, cohesive team of 15 agents and staff. “Bas and I made a decision when we opened up that we would commit to the town and our business and we’ve certainly seen plenty of change in the past decade. “We’ve raised our families here and we’re proud to support local community groups that mirror our own family values as well as those held by Ray White, which has had four generations of the White family at the helm over its 115-year history in Australasia. “When the car smashed into our premises, our only reaction was one of relief that neither the driver or any of our staff were injured. There are over 1100 Ray White offices in Australasia including over 165 in New Zealand. Ray White has a national market share of close to 20%, and local strength in Southern Lakes with offices in Queenstown, Arrowtown, Wanaka, Cromwell and Te Anau. The snow has blanketed Queenstown peaks and the coolest winter escapes are out there for snow lovers of any age, stage and ability. Queenstown’s a mecca for skiers and snowboarders for a host of reasons, not least that its four closest ski areas deliver a wide range of terrain to suit everyone from beginners to black-diamond experts, ensuring hands-down the best winter holiday experience in the Southern hemisphere. With school holidays in mind and some of the best early season snow conditions on record, one of New Zealand’s best ski hotels has come up with a full-service approach to taking the hassle out of family winter holidays. Crowne Plaza Queenstown’s IHG winter sale ends on July 9 2018 so buyers need to get in quick, although the deal’s valid for stays until the end of October. The winter sale package is ideal for hungry skiers who can fuel up for the day ahead with a free breakfast, while also saving up to 20% on accommodation. 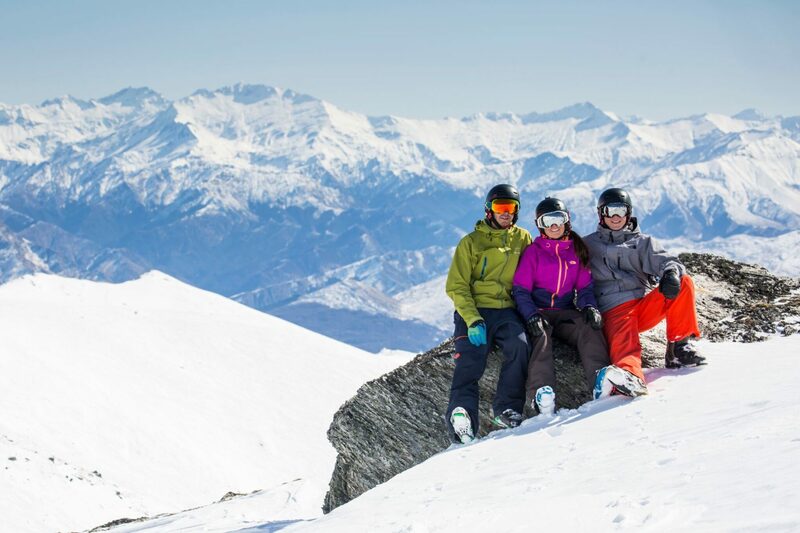 With the winter package valid until the end of the ski season, a spring skiing trip is also on the cards for those who can’t make it these school holidays. Queenstown is so compact it’s the perfect spot for a ski holiday. Visitors can be catching some big air in the morning and playing nine holes of golf or sipping on a world-renowned Pinot Noir in the afternoon. Coronet Peak is perfect for First Tracks – skiing over sweet lines left by the overnight grooming team as the sun rises over the mountain. It’s also the only resort in the South Island with night skiing, meaning guests can enjoy Queenstown adventures during the day, head up in the afternoon to catch the sunset and experience the magic of ‘cheeky’ night ski sessions on Wednesday, Friday or Saturday nights. Simply put, The Remarkables is just remarkable, for its great on and off-piste options accessed by the new Curvey Basin chair among others. Locals love to stop for a drink at the Ice Bar (halfway down the chairlift) where amazing views make it a great spot for must-have Instagram photos or just to have a beer. Head ‘over the hill’ towards Wanaka and in less than an hour guests can be sampling the wide-open bowls of family-friendly Cardrona ski resort or having fun sampling classic and ski skating or snowshoeing at Snow Farm, New Zealand’s only Nordic ski area. At the end of a day of winter fun, Crowne Plaza Queenstown invites guests to kick off skis and boots in their dedicated heated ski locker, relax with a mulled wine or cocktail and settle in for dinner at threesixty restaurant, taking their pick from a hearty new winter menu. Over the school holidays, some guests just might be surprised with vouchers for hot chocolates at the world-renowned Patagonia Chocolates, or passes to go ice skating at the Queenstown Ice Arena. If there’s one thing hotel guests rave about, it’s Crowne Plaza’s central location, perched on the shores of Lake Wakatipu with sweeping mountain views and yet less than a minute’s stroll to Queenstown’s bustling main streets. Back at the hotel, the concierge team has the best advice going to help guests explore Queenstown like a local, and it’s Queenstown Winter Guide has plenty of inspiration for non-skiers too. Ski shuttle buses stop right outside the hotel front door and daily snow reports keep guests up to speed with conditions throughout the day (and night!). With New Zealand’s July school holidays on the horizon, an airport hotel is inviting families on a ‘mini-break’ before or after connecting to domestic or international destinations. The newly refurbished Holiday Inn Auckland Airport has some ‘big wallet-savings’ on offer for families travelling during the school holidays with the creation of its new Very Important Kids (V.I.K.) Programme. 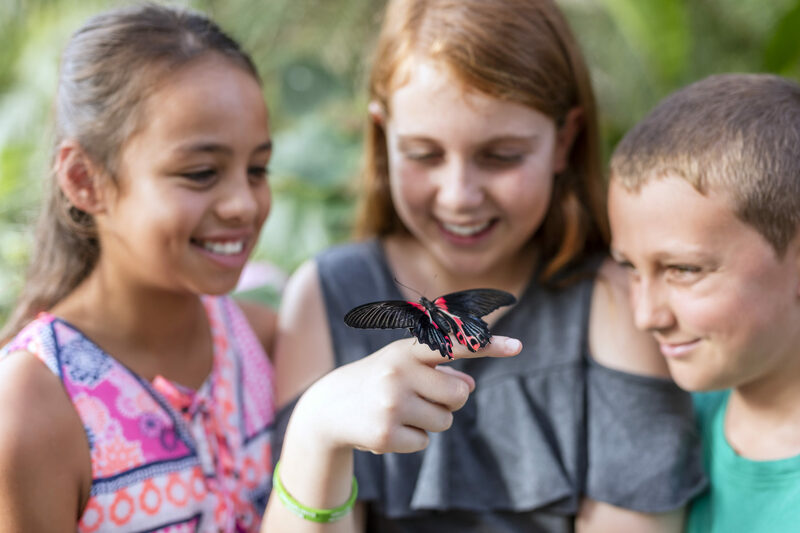 Not only do kids stay and eat for free at the hotel, but parents are also given a cool green wristband for each of the little darlings when they check into the property, unlocking up to $150 of savings (per child) at some of Auckland’s top family attractions. There’s no such thing as an ‘I’m booooored’ day when youngsters can choose from paintballing at Lock N Load Adventures, rope climbing at Rocket Ropes, an afternoon of fun at Butterfly Creek or putting their way around Treasure Island Mini Golf. All parents have to do is plan the day’s activity or activities and show the kids wristbands on arrival to receive the relevant discounts. Holiday Inn Auckland Airport General Manager Scott Schaefer says the hotel is delighted to offer family-friendly travel solutions that are easy on the pocket. “The V.I.K. programme gives the kids a great holiday, even before they get on the plane!” he says. “Travelling during school holidays can be expensive so this, combined with our long-running guarantee that kids stay and eat for free, enables us to offer an affordable ‘fun for all the family’ getaway. “From check-in to departure, there’s plenty to do to keep the family entertained in comfort while you wait for your next flight, which is why families love staying with us. The hotel has recently completed a $3million refurbishment to transform the ground floor restaurant and bar, hotel lobby, reception and swimming pool into eye-catching yet welcoming spaces. 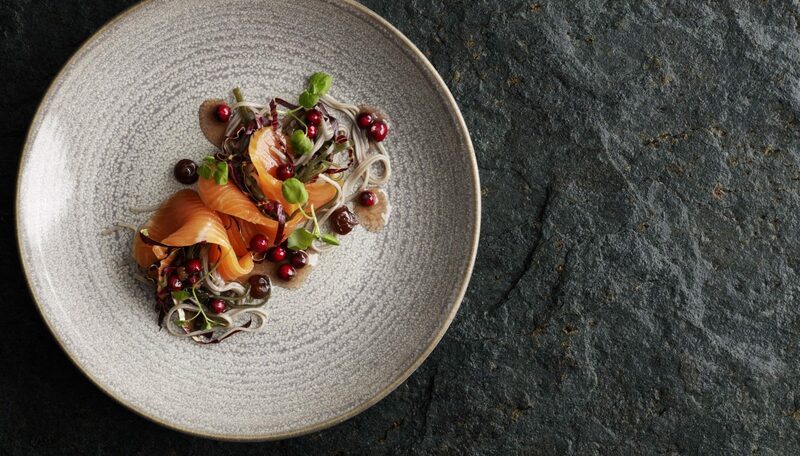 The hotel’s Vapor Restaurant is now a destination in its own right, taking diners on a culinary journey of native New Zealand in a Pacific holiday setting, renowned for its selection of buffet dishes suitable for all ages, taste buds and even the fussiest of eaters. A giant chessboard, arcade games and welcome packages will keep the kids entertained and if they feel up to braving some cooler winter air temperatures, the pool is an oasis of calm amidst sub-tropical gardens. This year’s Term 2 holidays also happen to neatly coincide with the hotel’s winter sale, so a budget-friendly family getaway is definitely on the cards. Guests can save up to 20% off accommodation and free breakfast when booking before July 9 2018 for stays until October 30 2018. Discover more about the V.I.K. programme in the latest campaign video here, or online here.